Verizon To Sell Blackberry Tour 2? RIMM is trying to find any way it can to gain a foothold in the highly competitive mobile dataphone market with their flood of Blackberry devices. I mean, is it me, or are there a lot of different Blackberry devices on the market? Anyway, there are rumors out there that the Blackberry Tour 2 is coming to Verizon. 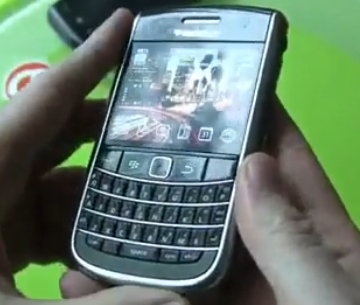 And some of the rumors are even placing the Blackberry Tour 2 at Verizon in May. So even if the Blackberry Tour 2 does arrive at Verizon, what about the coming iPhone, or even the Nexus One, or how about the Motorola Droid that’s already a huge hit at Verizon? The mobile phone revolution is here, and I guess what I’m trying to say is… where does the Blackberry fit in anymore – even if it is a brand new Blackberry Tour 2?